Mordian 7th Regiment: So what's next? #1 - Imperial Guard. There's still plenty of work to be done on the Glorious 7th, numerous tanks and a handful of infantry. Of all the projects, this one is the nearest to completion. #2 - Adeptus Mechanicus. There's always more work to be done on the Ad-Mech. There's several units of Skitarii that need to be built, as well as some fun tanks using the final pair of King Russ tanks that I have, and plenty of already-built stuff that needs to be painted. #3 - Tzeentch Renegades. There's a burgeoning 40k Chaos army lurking on the shelves and in various states of assembly. While they'd be fun to do, they are predominantly blue and yellow, which I just got done doing a whole mess of with the Alaitoc gits. 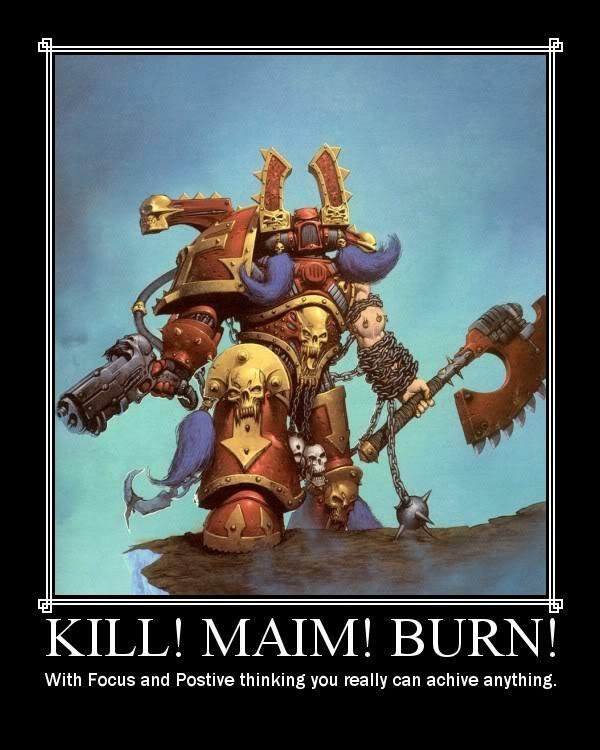 #4 - Heresy-Era World Eaters. This is essentially not even an army, just a random assortment of units that need to be painted and sold. There's some cataphract terminators, an assault squad, some jetbikes... And that's about it. Would be simple to knock out, and would let me experiment on some new white techniques (I was never very happy with my previous method). 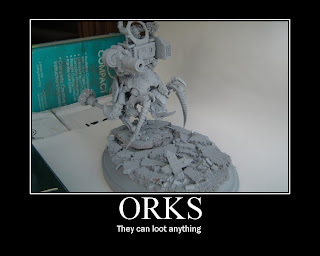 #5 - Orks. Lastly, there's darn near an entire Ork army left over from years and years ago, built and primered. including a Stompa with some FW upgrades. The only thing the army lacks is any sort of HQ choice, which would be easy enough to rectify. Downside: Batch painting ahoy. What do you folks want to see? Please vote on the poll, or if you have other ideas please let me know in the comments! All of the options sound pretty good, but I think I might lean towards the guard. It is always great to see tanks and even better to see the line troopers that hold the Imperium together. No miracles just men! 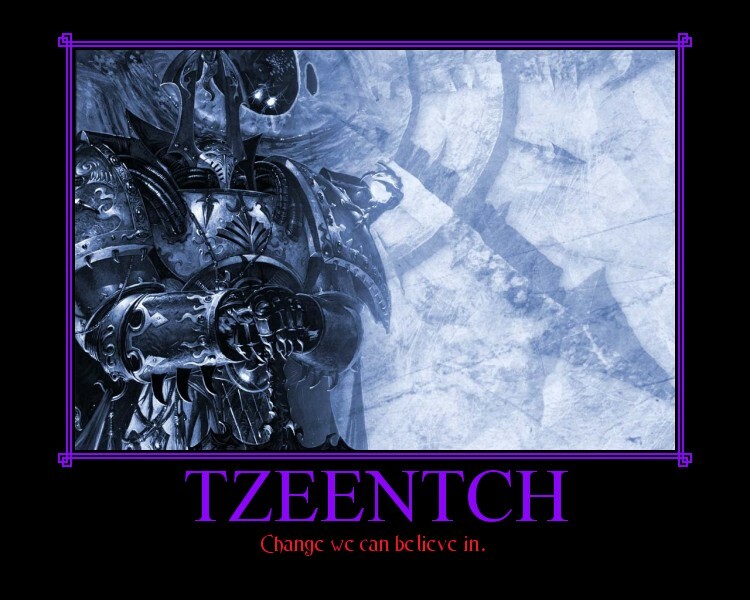 Next I would say World Eaters. 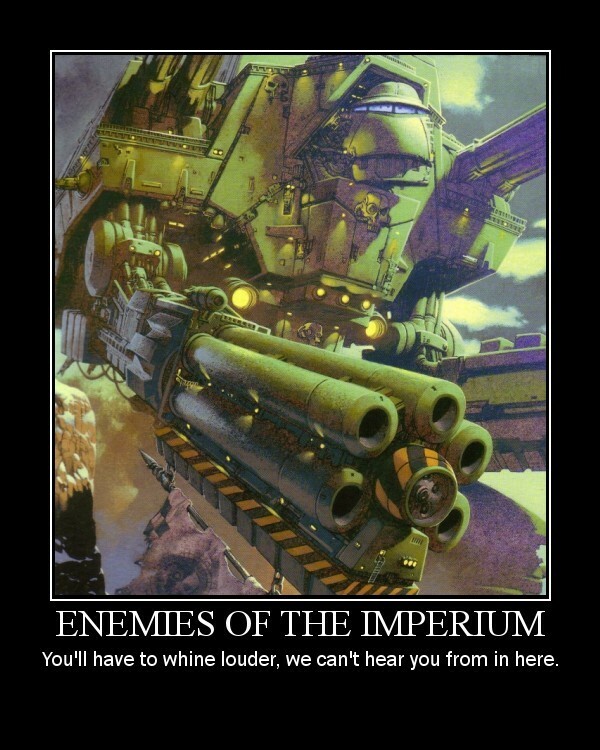 The Horus Heresy era is pretty rad, and I would like to see your take on it. And their old white and blue scheme is great, far removed from where they end up. Regardless, I look forward to what is to come! Time for the Green Tide I say. Just did yellow and Blue and everyone knows that makes... Green. I have always had a soft spot for the Imperial Guard, so I would say work on them first. 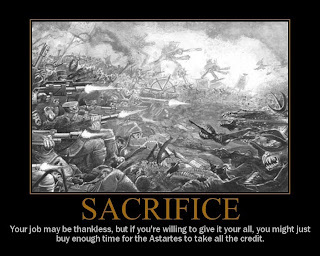 Duty and Honor! Heresy World Eaters! I'm doing Crusade Death Guardcat the mo and I'm really enjoying it! I'd say guard or orks! I love orks (who doesn't) but with the guard near completion, that may be the best bet if you want to stick with a project! My vote is Orks, only because I have a host of them I need to paint and would love to see how you approach it. Your Eldar gave me some great ideas for mine. 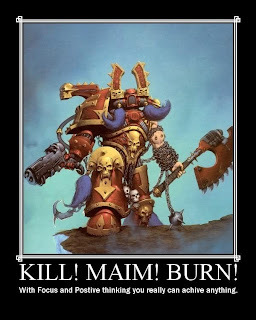 Second choice would be World Eaters - similar reason; any advice on painting white well would be a nice lesson. My vote is for Orks! Thanks for the feedback, everyone! Between the poll and the comments it sounds like the Guard are likely to be up next, followed closely by da Orks. Eventually they'll all get their time on the bench of course! Hey Mordian! Just wanted to let you know that I spent the last few days, when I get a few spare minutes, looking all the way back through your blog, and I'm a big fan! You've even inspired me to get started on my own blog (it'll be up and running soon enough), so thanks! Keep up the great work! And, oh yeah, I still vote orks! 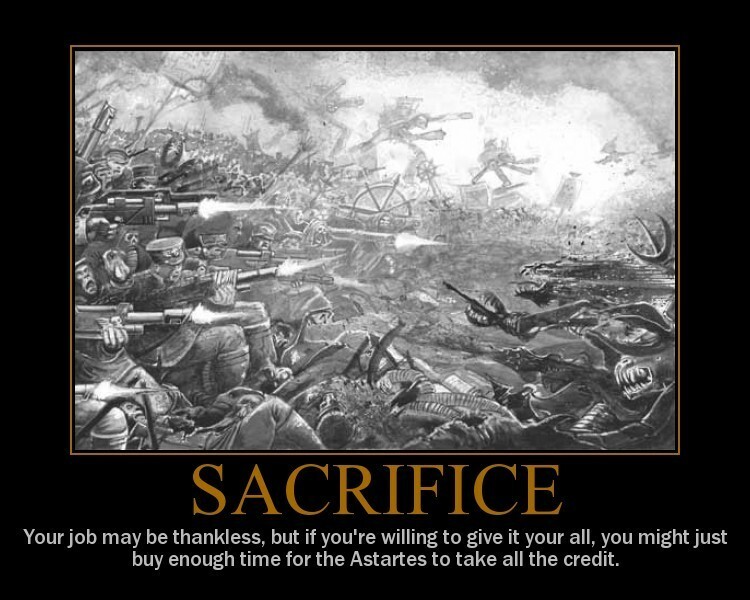 Always orks if there's a choice! Of course, I (belatedly) vote Guard. Although anything would, I'm sure, be a treat to see! Toll the great bell thrice! All praise to the Omnissiah! You need to face the fact that whilst the other projects might have an 'end' the IG never will have - Once they have you, you are in for the long haul. Orcs could be fun, though. @ChaplainRobb: Thanks very much! I find blogging really keeps me motoring on with the hobby, I look forward to reading your blog! @Colonel Scipio: Looks like guard is the #1 choice, I've already started hauling out the boxes to see what needs a lash of paint! @Ben: The Ad-Mech are the #2 choice in the poll so there will be some of them coming up in the near future! @Zzzzzz: Hah! Don't I know it - the 7th has been in various stages of "almost done now" for about a decade. Every time I get close, I end up buying a whole bunch more! It never ends! Ohh I know that feeling. For me that's my marines. With rumours flying around, it looks like they're coming back to the table after a brief exile!